Retlif’s involvement in laboratory accreditations is historical. Retlif was the first laboratory to petition the U.S. Government (NIST) to develop an EMI laboratory accreditation program. Today, Retlif remains fully committed to meaningful, well-administered and technically appropriate laboratory accreditations. Our accreditations are extremely broad in scope and are based on the requirements of ISO/IEC 17025, as administered by ANSI-ASQ National Accreditation Board. (ANAB) and the Performance Review Institute (PRI-NADCAP). EMI/EMC electrical testing at our three (3) primary test facilities (Ronkonkoma-NY, Goffstown-NH and Harleysville-PA) is accredited by ANSI-ASQ National Accreditation Board (ANAB). Environmental and mechanical simulation testing at our Ronkonkoma, NY test facility is accredited by ANSI-ASQ National Accreditation Board (ANAB) (formerly L-A-B). 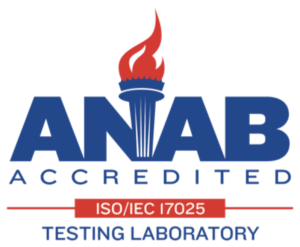 Physical and mechanical testing of high-strength plastic composites at our Composite Prototype Center in Plainview, NY is accredited by ANSI-ASQ National Accreditation Board (ANAB). 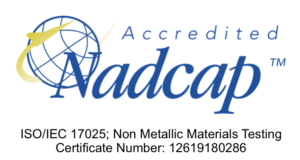 Physical and mechanical testing of high-strength plastic composites at our Composite Prototype Center in Plainview, NY also carries a secondary accreditation through PRI-NADCAP.